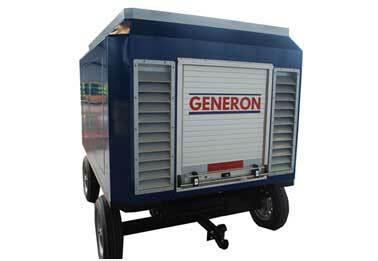 GENERON©, a world leader in the design and fabrication of Nitrogen Generators, has designed, built, and shipped a New Mobile Nitrogen Generator designed to produce 99.9% Nitrogen at 6,000 psig. This new Mobile Generator uses a Kubota, Tier 4 Interim 75 hp diesel engine to power a rotary screw compressor package, which compresses ambient air to 200 psig, where it is fed to a GENERON© Nitrogen Membrane System, which delivers 2 scfm (3.2 Nm3/h) of 99.9% Nitrogen, then boosted to 6000 psig (14.4 barg), using an oil free, reciprocating compressor. This system is built on a mobile ground cart platform, with steerable front axle, and parking/safety brakes, used for Aviation support crews. 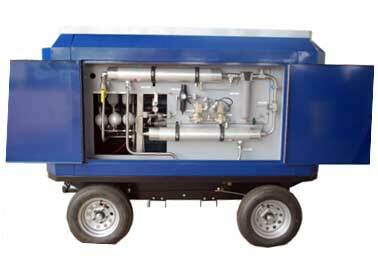 This unit will be used in a variety of Commercial and Military aircraft applications. For further information on the GENERON Group of Companies, and our extensive capabilities, please contact us through our website at www.generon.com.